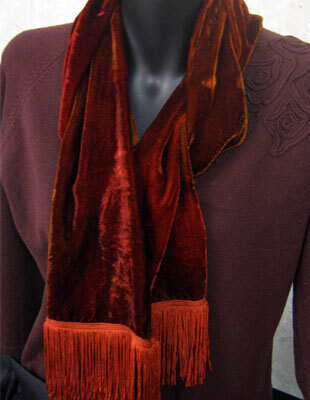 Velvet is a luxurious deep pile textile that is associated with royalty and the nobility. The soft deep pile gives rich lustrous colours. Light shimmers across the surface of painted velvet like quicksilver. Silk velvet drapes beautifully and is sensuous and soft to the hand. From Kashmir in the Middle-Ages to Belgium and Italy during the Renaissance, the art of velvet weaving has produced a singularly recognizable material with associations of luxury, indulgence and nobility.